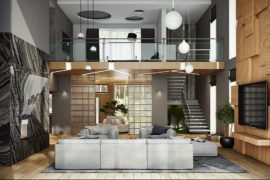 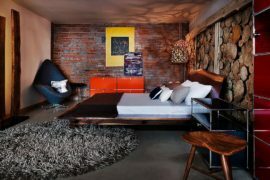 The general perception is that live-edge furniture is only in homes with a rustic bent and should only be used in spaces with farmhouse, Mediterranean or other exotic styles. 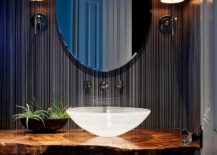 That, of course, is a fad that you will quickly get past once you actually start seeing how amazing live-edge pieces can be when used in contemporary and modern interiors. 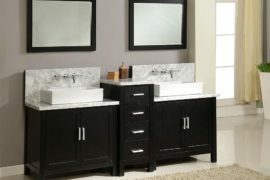 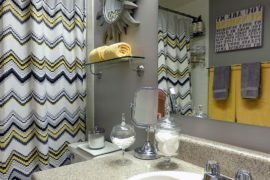 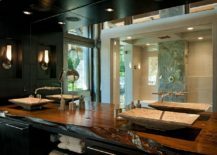 It is no different in the case of the live-edge vanity top and the contemporary bathroom clad in sophisticated gray or relaxing white. 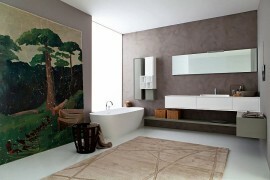 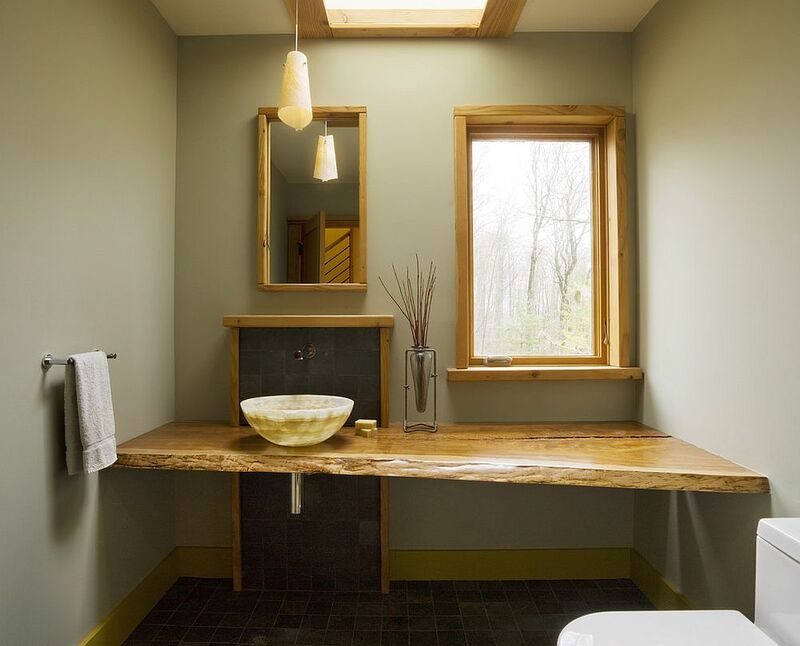 The neutral backdrop of a modern bathroom allows the vanity top to shine through, even as its rough finish and woodsy charm bring a whole new dimension to the refined setting. 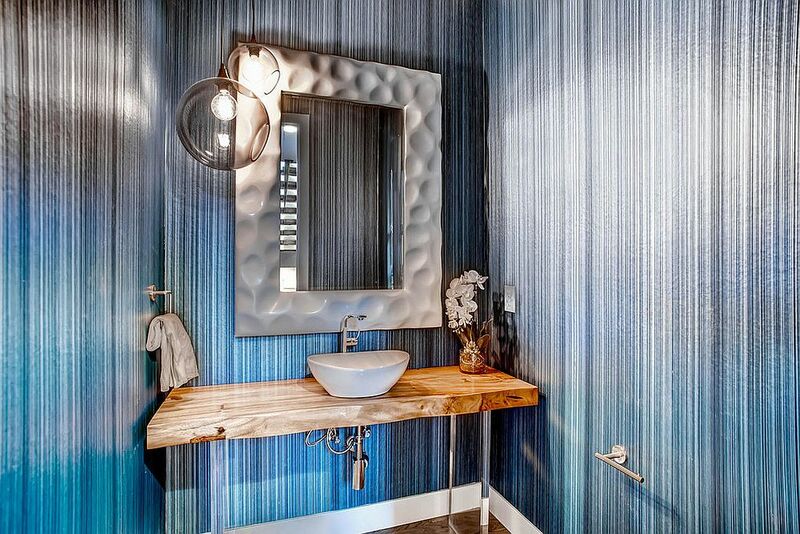 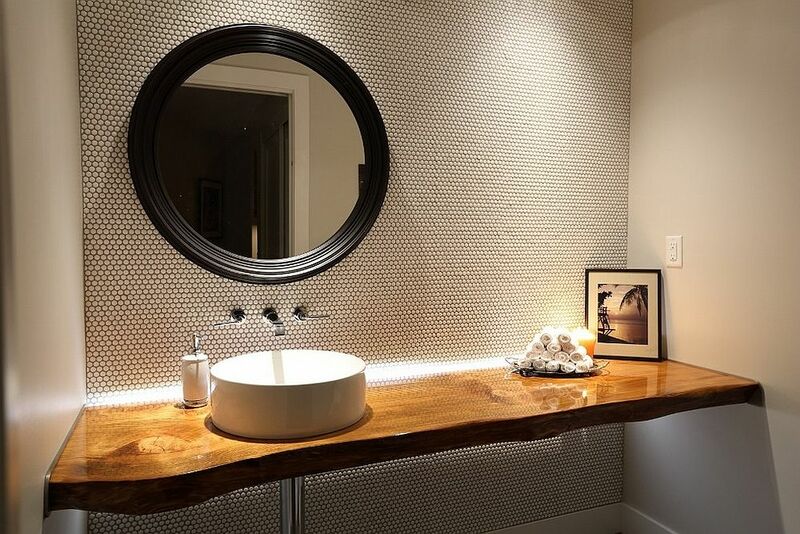 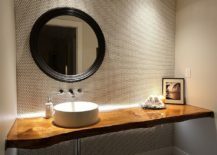 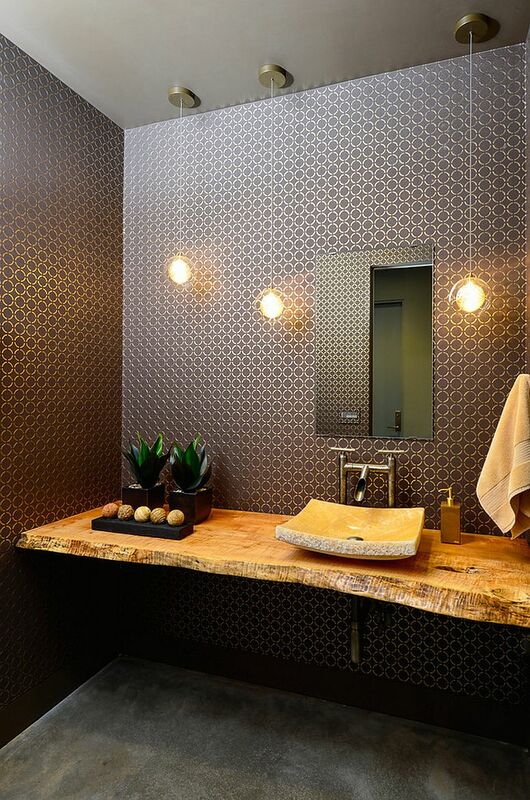 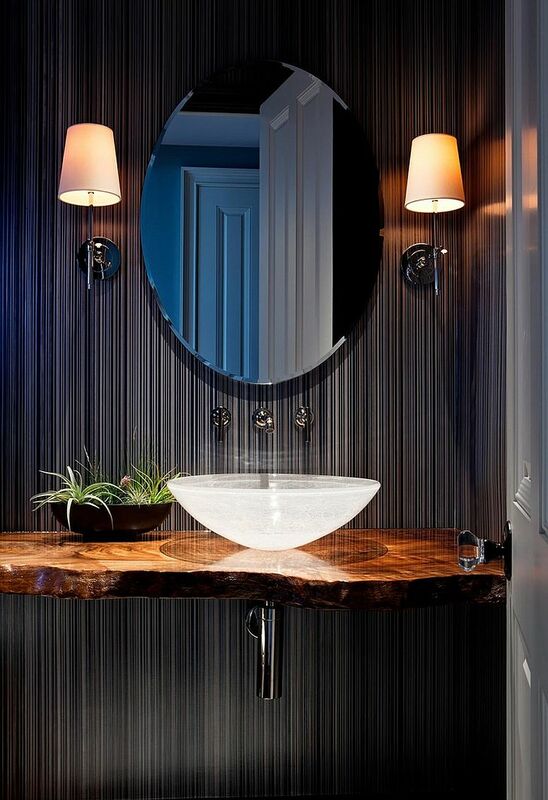 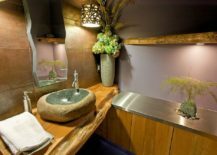 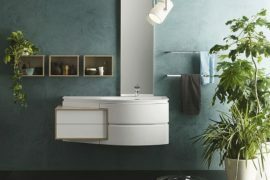 Apart from offering textural contrast inside the modern bathroom, a live-edge vanity top can also be a smart space saver when placed in the corner of a tiny powder room where every inch matters. 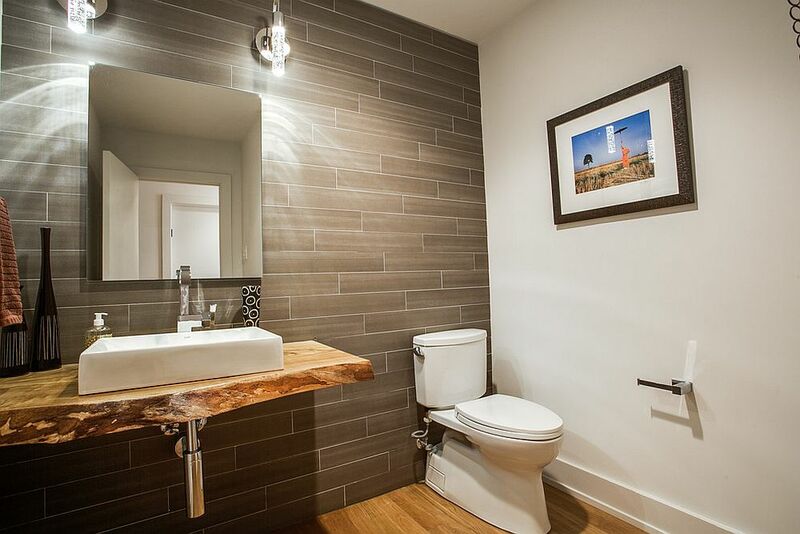 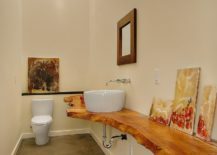 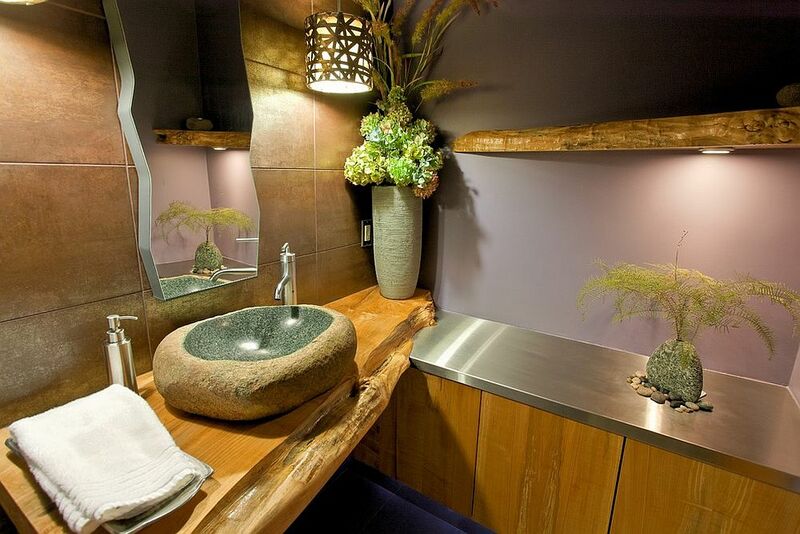 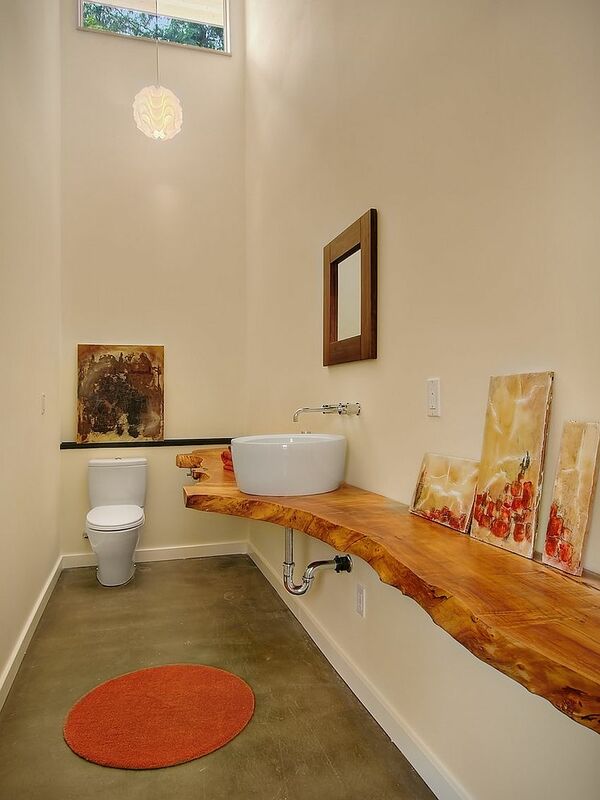 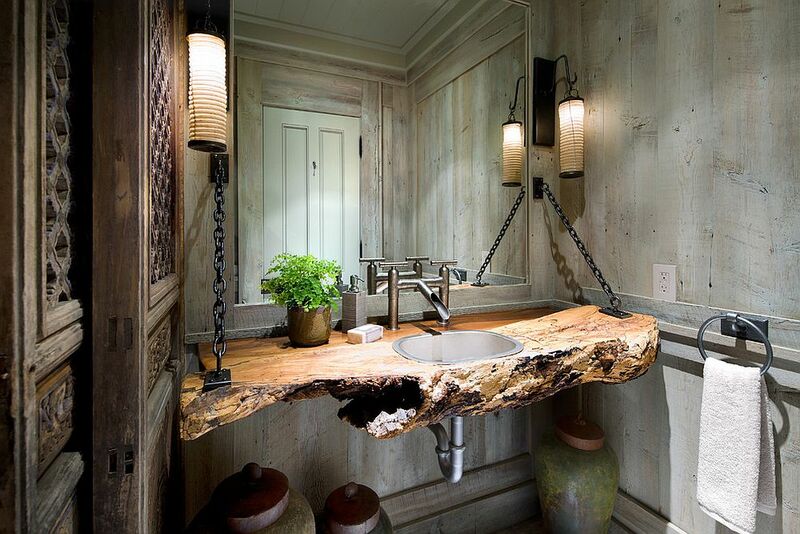 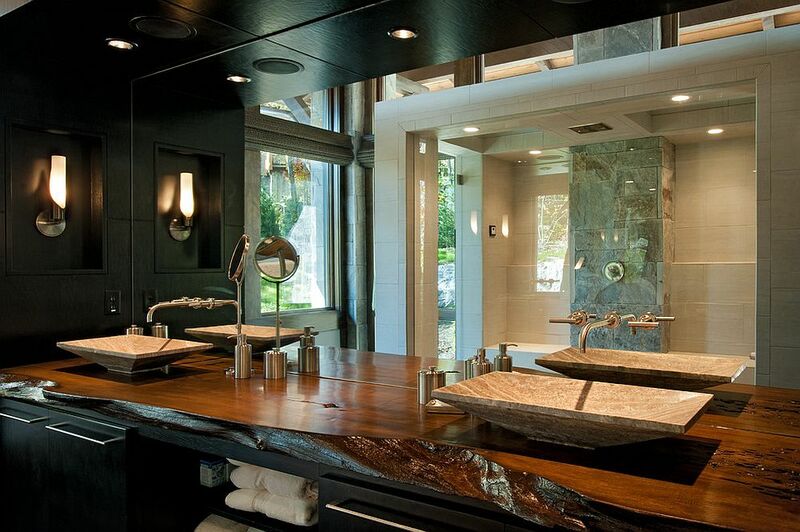 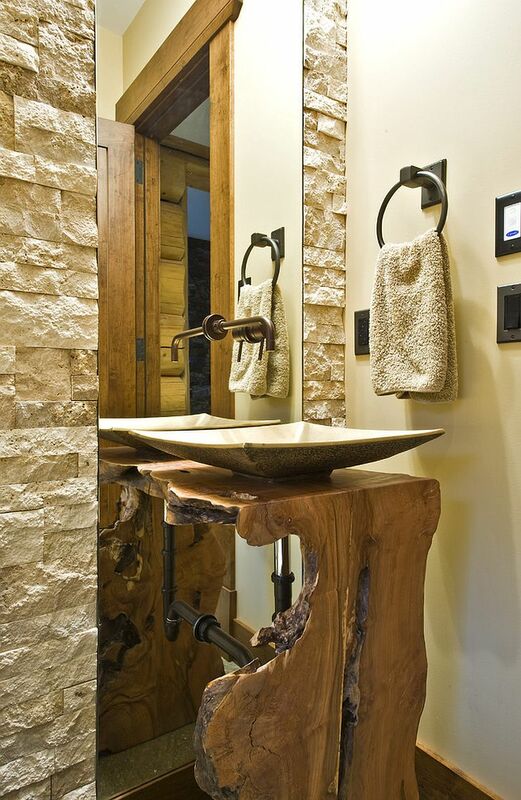 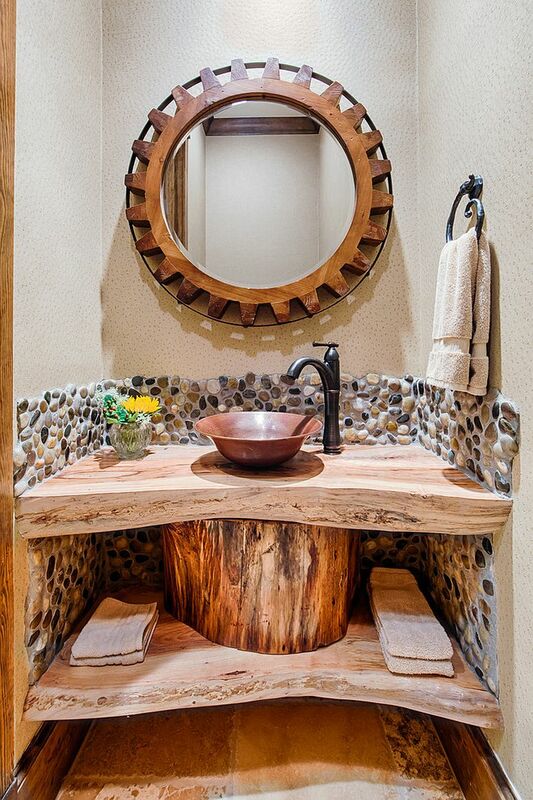 Since you do not need too much storage or even counter space, a small slab of wood will do the trick, and combined with the right sink and plumbing, you can create a wide range of styles that vary from industrial to rustic. 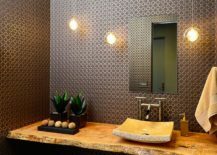 Sconce lighting next to the mirror or a simple pendant light along with the frame of the mirror used in the powder room can define this style and reinforce it with ease. 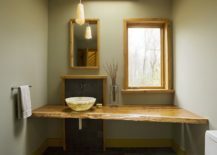 So, are you ready to fall in love with live-edge wood this fall?